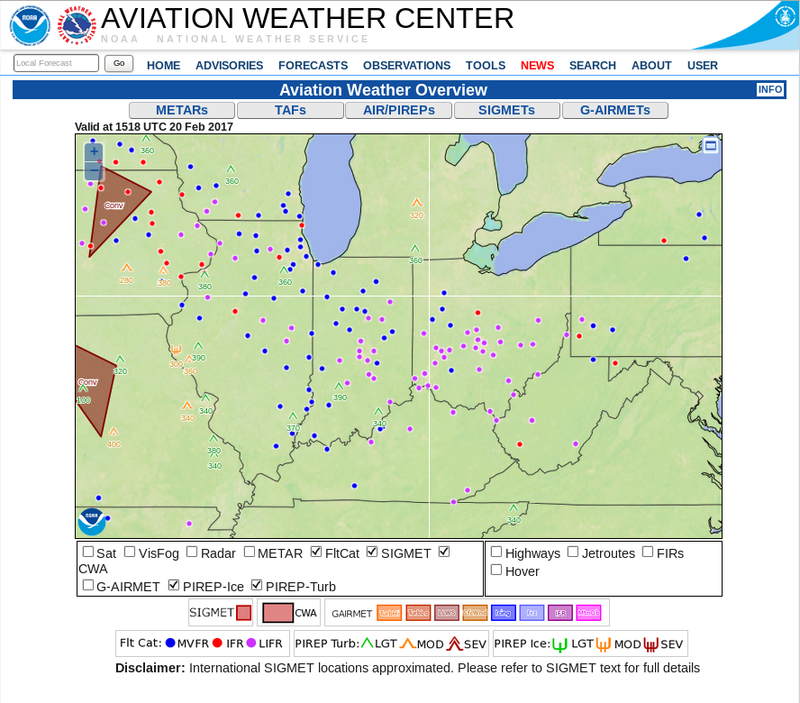 Dense Fog developed over central/southern Ohio, Indiana and Illinois on the morning of 20 February 2017 (Screen shot from here; IFR Depiction from here). The toggle above includes the GOES-R IFR Probability fields; large values of IFR Probability overspread the region of low ceilings and visibilities. In contrast, high clouds (dark grey in the enhancement used) are preventing the Brightness Temperature Difference field from articulating where the fog/low ceilings might be occurring. Because satellite data cannot be used as a predictor at 1100 UTC, the character of the IFR Probability field is mostly uniform, lacking the pixelation that occurs when low clouds can be viewed from the satellite (as over southwestern Pennsylvania, West Virginia, central Kentucky, parts of central Illinois, and elsewhere). High clouds have not moved into Ohio and Indiana at 0500 UTC on 20 February as the fog was developing (they are present over Illinois, however). The toggle below, from that time, shows low probabilities of IFR conditions over Ohio, and only a few reports of IFR conditions, mostly over central and southern Ohio. By 0700 UTC (above), IFR conditions are becoming more widespread as IFR Probabilities increase. The dark regions in the Brightness Temperature Difference fields over Wisconsin and Lower Michigan and surrounding regions show the advance of high clouds. By 1000 UTC, those clouds have overspread Ohio and Indiana, and the brightness temperature difference field loses utility as far as low-cloud detection goes. Because the IFR Probability fields incorporate low-level saturation information from the Rapid Refresh Model, however, IFR Probability fields can continue to provide a useful signal when high clouds are present or move in. 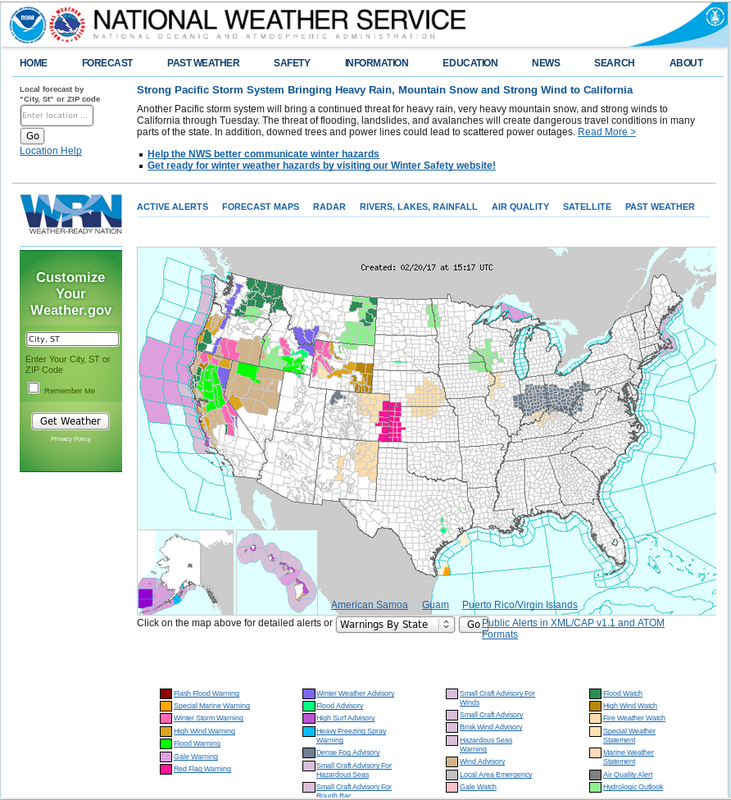 This entry was posted in Midwest on February 20, 2017 by Scott Lindstrom.